Despite indications that the economy is recovering, the National Association of Realtors is advising caution before slipping on the rose-colored glasses. According to NAR’s latest Commercial Real Estate Outlook report, fallout from the recession continued to negatively impact commercial real estate during the fourth quarter of last year. NAR chief economist Lawrence Yun said in a statement that commercial real estate recovery almost always trends behind the overall economy, and that an upswing is not expected before next year. Meanwhile, he said, the retail sector and rental markets will be bolstered should consumer confidence improve. The Commercial Real Estate Outlook provided forecasts for four commercial sectors, analyzing quarterly data in the office, industrial, retail, and multifamily markets. Data was provided by CBRE Econometric Advisors. NAR forecasts that office-market vacancy rates will rise from 16.3 percent in the fourth quarter 2009 to 17.6 percent in the fourth quarter 2010, spurred by a glut of sublease space currently on the market. For the long term, NAR predicts that vacancies will average 17.4 percent in 2011. Annual rents are projected to drop 7.2 percent this year, with net absorption predicted to be a negative 27.3 million square feet. 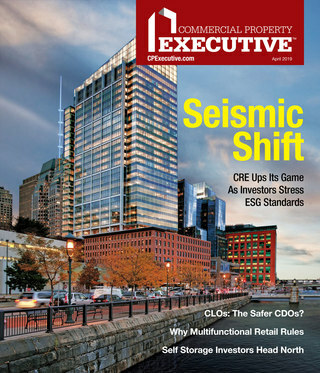 Though there is less industrial sublease space, obsolescence is a factor for this sector. According to NAR, industrial vacancy will rise to 14.9 percent in the fourth quarter 2010 from 13.9 percent in the fourth quarter 2010, with net absorption projected to be negative 93.5 million square feet. In the battered retail market, vacancy rates are expected to increase to 12.7 percent in by the end of 2010 from 12.4 percent at year-end 2009. Average rents are forecast to drop 2.4 percent this year, with net absorption of negative 3.4 million square feet in 2010. Better days are forecast for the multifamily sector, which NAR predicts will see a decline in vacancy from 7.4 percent in the fourth quarter 2009 to 6.6 percent by year-end 2010. However, average rents are projected to decline 3.4 percent this year, but that is less than the 3.6 percent decline seen in 2009. 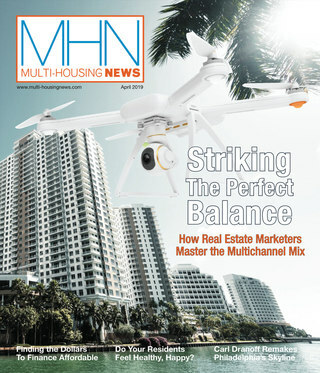 Net absorption in the multifamily sector is expected to be 115,000 units in 2010. Commercial credit will also be an issue this year, according to Yun, but he believes lending expansion will be assisted by the Federal Reserve’s Term Asset-Backed Loan Facility, which encourages issuance of commercial mortgage-backed bonds. “These are important first steps,” Yun said.